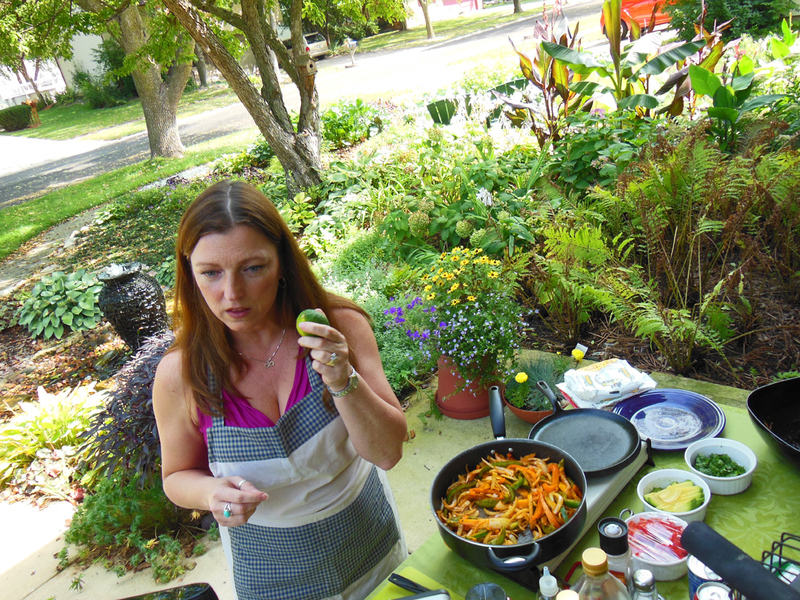 Last week Google came to my front lawn vegetable garden to film my first Google+ Hangout culinary video. This kicked off a series of Google+ Hangout on AIR events whereby we are cooking fresh, organic, healthy foods in my front lawn vegetable garden. 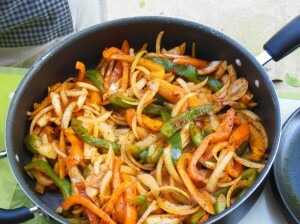 This week’s feature is Rotisserie Chicken Fajitas made with fresh vegetables from my garden. Cooking fresh, ripe, organic vegetables means you have great tasting, vitamin rich foods for your family. 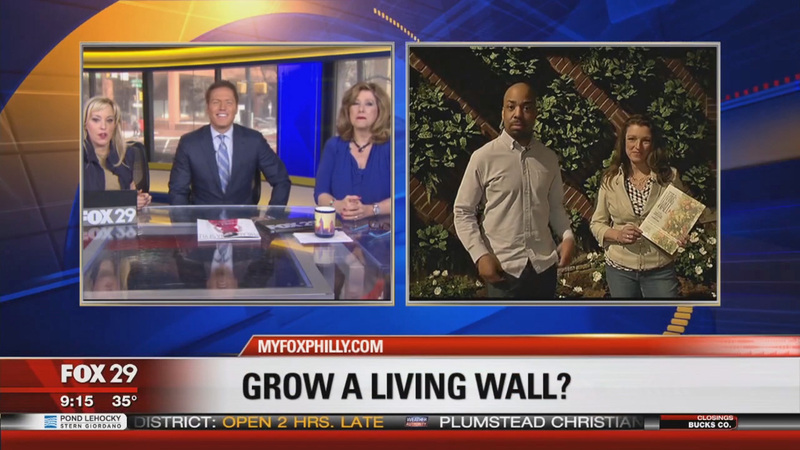 We are doing this cooking demonstration in my front lawn vegetable garden – where the vegetables are grown – and it has been FUN, FUN, FUN to learn how to make a live video while interacting with viewers watching while we prepare the recipe. Working with rotisserie chicken means it is QUICK and easy to prepare a meal for your family and in fact, this meal really serves MORE THAN 6 people for under $10. Therefore, we are using the leftovers from this recipe next week to make Fajita Soup. In other words – 2 meals for under $10. WOW! Stay tuned for the next $10 Culinary episode. Slice chicken in thin strips. Combine olive oil, garlic, spices, and the juice of one lime into a marinade. Combine all the vegetables with marinade and let marinade a few minutes to overnight. Saute over medium heat until vegetables are slightly tender. Add chicken. Mix and stir until well heated. Add juice of a half a lime while cooking. When done, remove from heat and place fajita mixture on heated tortillas. Top with avocado, cilantro, and lime juice. *Above is the video and recipe we made this week for fajitas. It serves 4 to 6 people. All vegetables from my garden are grown organically and I am basing the price of each vegetable on how many veggies it typically yields per plant, divided by the plant cost at planting time. Most of the herbs in the garden are perennials and I have had them for years, I’m counting them as “free”. I also count salt and pepper as “free”. Below is a photo of what “the set” looks like when I am filming LIVE in the front lawn veggie garden. I have a couple tables, a computer with camera attached, lighting and a bunch of other stuff I need to set up. It is definitely a challenge; but a fun one! I hope you enjoy the yummy fajitas! Loved the program and sent it to others to see! 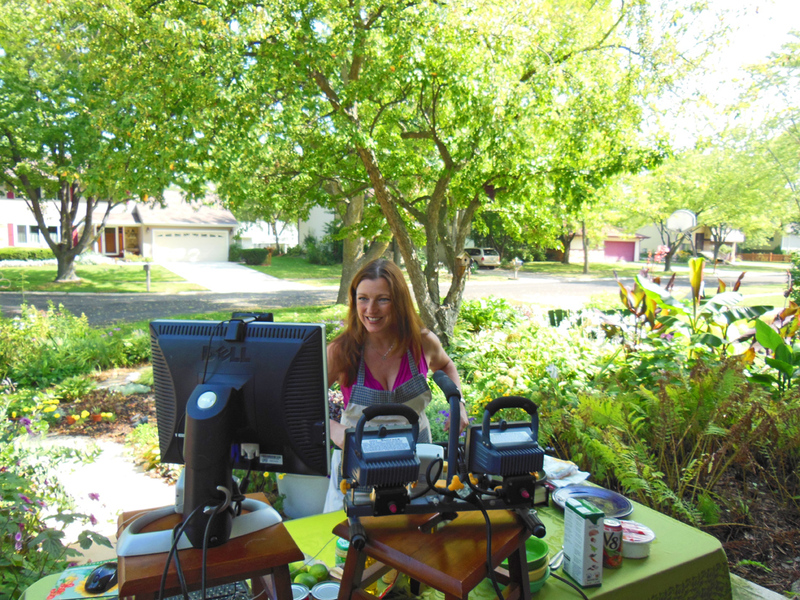 You are so Awesome Shawna and many thanks to Google…they will be a big help in all of this sustainable gardening world wide. We have a construction business which we have built environemental friendly houses and some off the grid and all of those customers are health concious in their lives and especially in the gardens. Keep up the great work Shawna and to all the others on your panel which by the way was so fun…you all have a say in this also and I know we will make a ‘power of many’ together!!! Thanks so much. These fajitas ARE DELICIOUS too. Flavorful and full of vitamins is a must! Thanks for the love Katerina~!